​At long last, Rob Gronkowski has made his decision. The Patriots' star tight end has announced via Instagram that he will retire from the ​NFL after the Pats' Super Bowl-winning season in 2018. Gronkowski had a highlight reel of a career in ​New England, but was also constantly dealing with injuries throughout his nine seasons in the NFL. 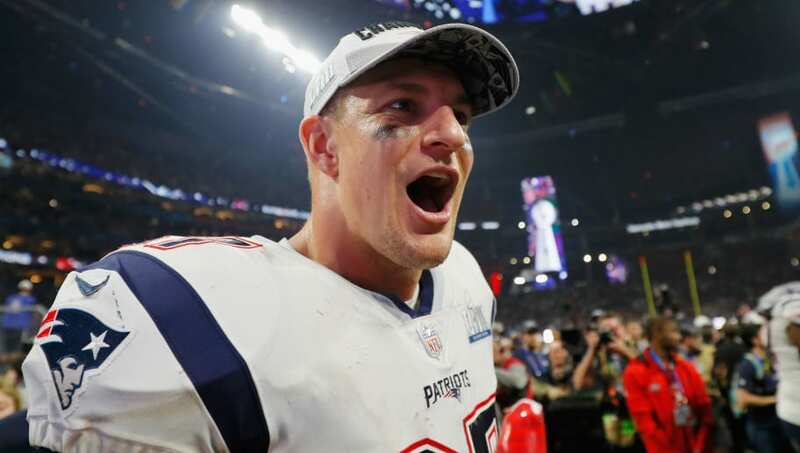 The injuries seem to have caught up to him, as at 29-years-old, Gronkowski has officially decided to call it a career, finishing as a three-time champ. If that’s a career, he goes down as one of the greatest ever. In his social media post, Gronkowski shared his appreciation for the Patriots organization, calling out Robert Kraft and ​Bill Belichick specifically. It was an emotional farewell from Gronkowski, who retires as one of the all-time greats at his position. BREAKING: #Patriots TE Rob Gronkowski is retiring from the NFL. In his nine seasons in the league, Gronk started 100 games. He recorded 79 career touchdown receptions and accumulated 7,861 yards off of 521 receptions. And no one was more dominant or clutch at his remarkable peak. He goes out a champ, hauling in the most important pass of February's Super Bowl win over his shoulder, sprawling and diving as he'd done countless times before. Somehow always injured, yet also ageless. What a powerhouse. The former University of Arizona star spent his whole career in New England, and is now considering a career in acting, as he has ​officially called it quits on the NFL.